This composite badge has been struck to commemorate those who served at Gallipoli from April to December 1915. 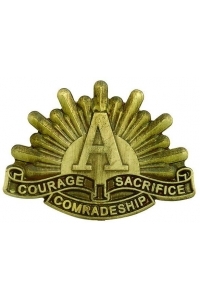 The A is for the brass “A” worn by those who took part in operations on the Peninsula. 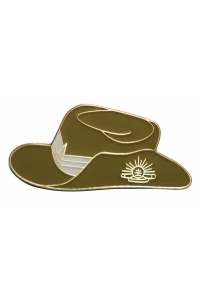 The Rising Sun badge represents the esprit-de-corps, the camaraderie of the Australian soldiers of the 1st AIF. 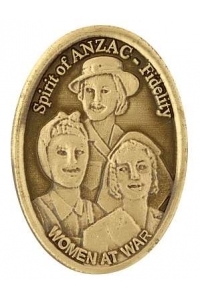 The words on the scrolls – Courage, Sacrifice and Comradeship – epitomise the deeds of the Diggers at Gallipoli – the others-before-self Spirit of ANZAC. 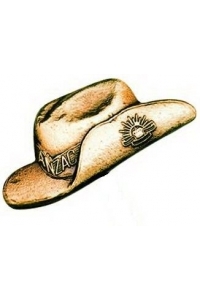 The Slouch Hat Badge was commissioned in 1996 to commemorate the 80th anniversary of the first ANZAC Day observances. 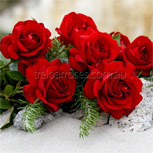 It is now available at all times as a source of fundraising. Ordinary Seaman Edward 'Teddy' Sheean was killed during the attack by Japanese aircraft which sank the Bathurst Class corvette HMAS Armidale in the Arafura Sea on 1 December 1942. After the order to "abandon ship", Sheean, although twice wounded, stayed at his post at the aft Oerlikon gun, bringing down an enemy bomber. He was still firing when the ship sank. 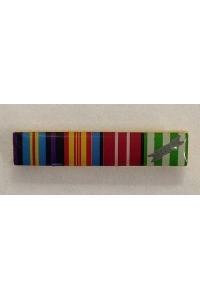 In May 1999 Sheean was honoured by the RAN when Collins Class Submarine No. 5 was named HMAS Sheean. This is the first occasion on which a RAN vessel has been named after an ordinary seaman.